I love LUSH Ltd shower gels, however over the last few years, too much glitter has gone into them. However, launching last summer, Plum Rain is a great addition to their range and is 100% glitter free! With plum juice, osmanthus, petitgrain and mandarin; it’s fruity and refreshing. Plum Rain is a very thick and concentrated shower gel so expect a mountain of delicious purple foam. This turns a normal shower into a fabulously luxurious experience and leaves my skin fantastically soft but not dry. 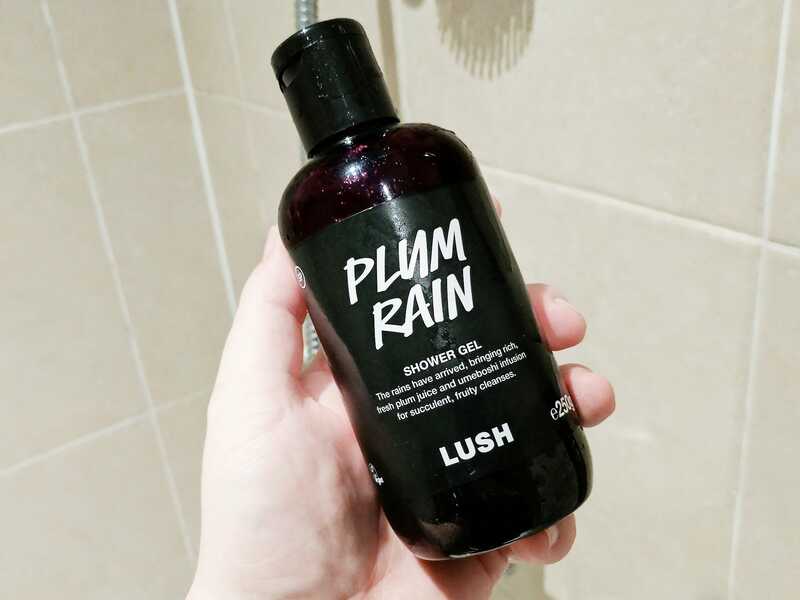 Lush Plum Rain Shower Gel starts from £5.50 and is available here from LUSH Ltd.
Umeboshi Infusion, Sodium Laureth Sulfate, Sodium Cocoamphoacetate, Glycerine, Water (Aqua), Lauryl Betaine Perfume, *Limonene, Fresh Plum Juice, Osmanthus Absolute, Petitgrain Oil, Sicilian Mandarin Oil, *Lactic Acid, Carrageenan Extract, *Linalool, Colour 17200, Colour 42090. This article first appeared on MANFACE written by Thom Watson. It was published on Saturday 4th March 2017 and was last updated on Monday 3rd April 2017 at 12:26pm. It's categorised under Cleanse, LUSH Ltd where you'll find more related content. COULDNT AGREE MORE. I feel like every shower gel I’ve gotten from them lately has been loaded with glitter. I’ll have to give this one a go! I know, it’s a big shame as it actively shuts out a huge portion of their existing fan base (basically anyone that isn’t a teenage girl) but super surprised with this. Definitely has become one of my favourites.